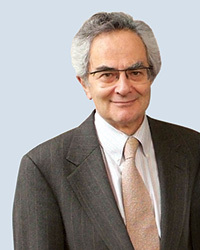 Thomas Nagel received a Distinguished Achievement Award from the Andrew W. Mellon Foundation in December. The University Professor was one of four academics to win the award, which includes a three-year $1.5 million grant to the scholar’s university. With the funding, Nagel plans to pursue an interdisciplinary group study of the relationship between science and religion, as well as individual research into the political theory of global justice.